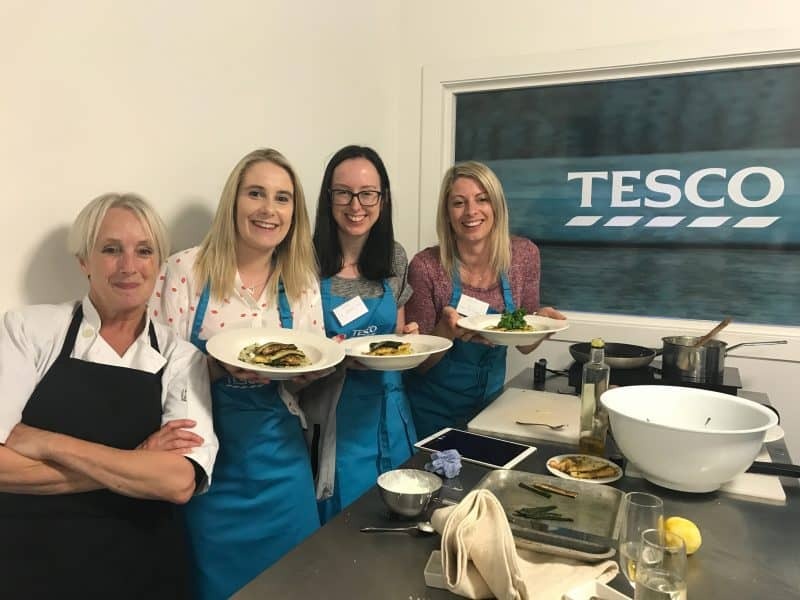 When I was invited to a gluten and lactose free cookery masterclass by Tesco Lactose Free with celebrity chef Lesley Waters, how could I say no? 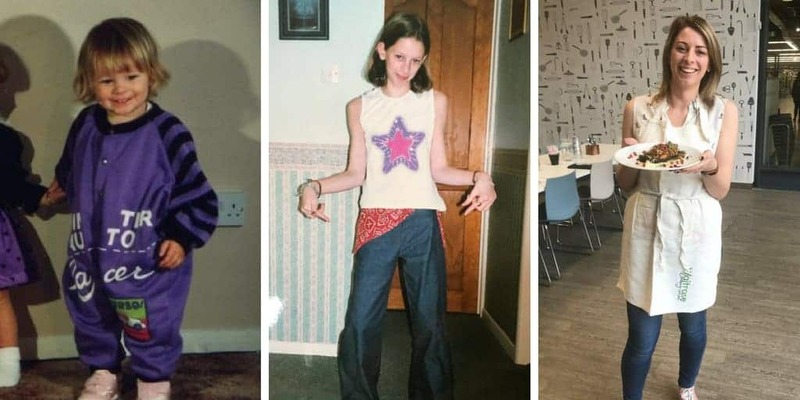 I spent years of my childhood avidly watching Ready Steady Cook (and trying to recreate my own meals with playdough!) so the idea of cooking with one of the chefs I’d watched on television was an opportunity I couldn’t turn down! Tesco very kindly invited myself and a handful of other free from bloggers to Jenius Social in London, where we were treated to nibbles made with their new lactose free range of products. It was a good indicator of how the evening was going to go – from lactose free blue cheese and pear on gluten free toast, to bites of lactose free mozzarella wrapped in Parma ham, the entrées were absolutely delicious. I hadn’t tried much of the Tesco lactose free range, but already I was impressed. 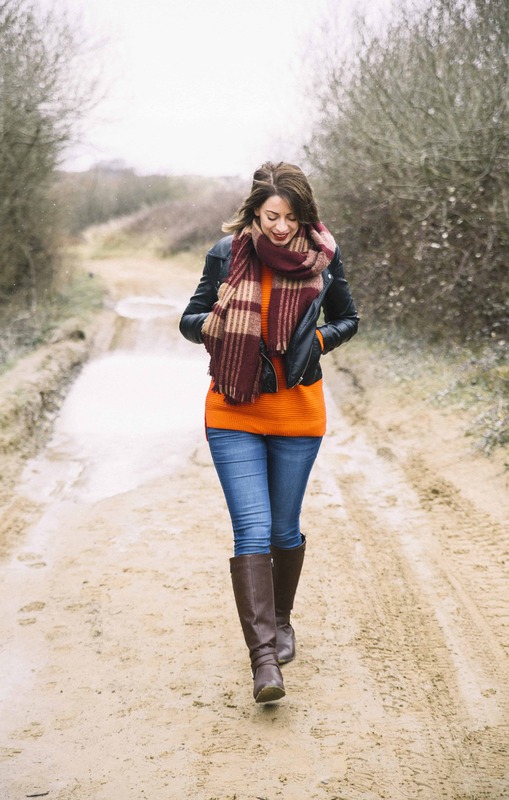 Before I was diagnosed with coeliac disease the doctor thought I might have been lactose intolerant, and the idea of giving up cheese terrified me. Bread, fine, but cheese? No thank you! So I was really pleased that you honestly couldn’t tell the different between these lactose free products and the ‘normal’ stuff. 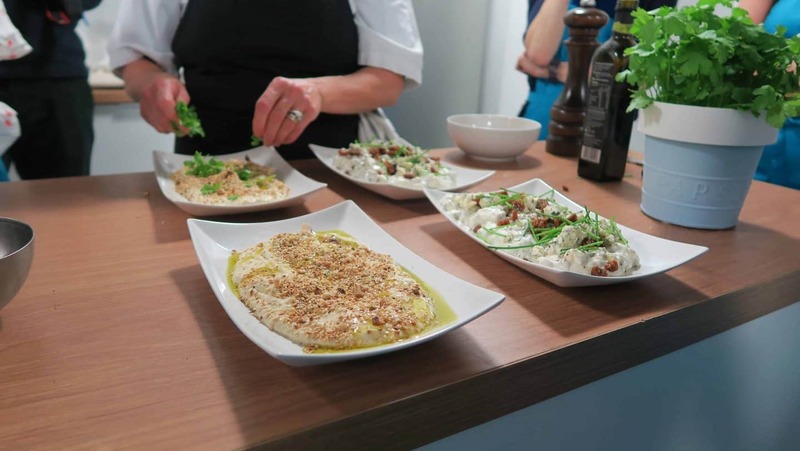 The lactose free range covers everything from blue cheese and brie to Greek yoghurt, crème fraîche and granola yoghurt pots. They’ve thought of everything! 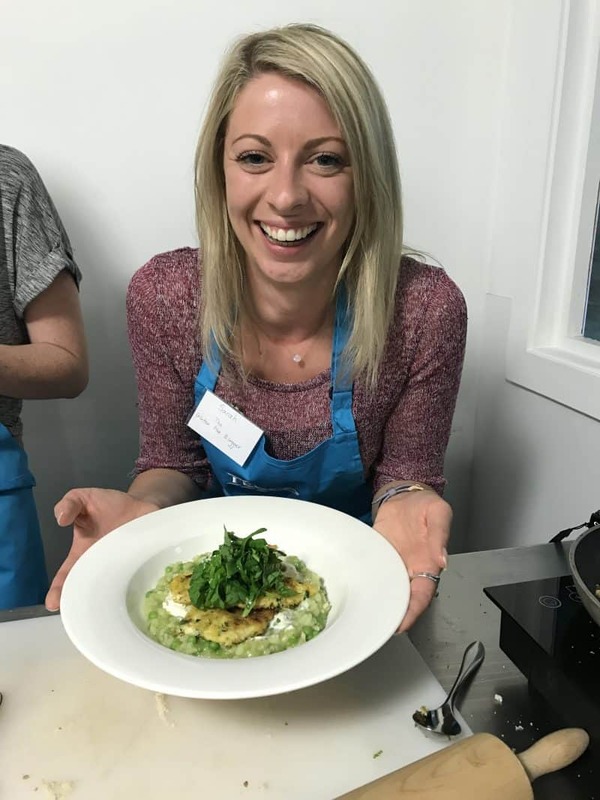 After a few bites to eat and a chance to catch up with some of my blogging friends, it was time to head into the kitchen and try our hand at cooking! First of all we whipped up a tiramisu, under Lesley’s enthusiastic and helpful guidance. Us gluten free folk were kindly catered for with Mrs Crimbles gluten free madeleines instead of sponge fingers. 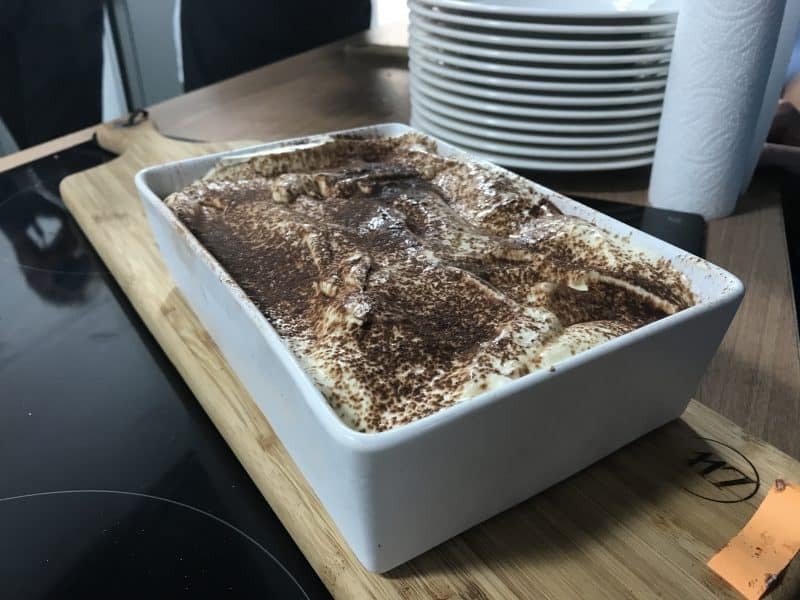 The tiramisu was so ridiculously easy to make and used the lactose free crème fraîche and the lactose free mascarpone. We simply soaked the madeleines in coffee and marsala wine and layered them up with the deliciously creamy mixture. 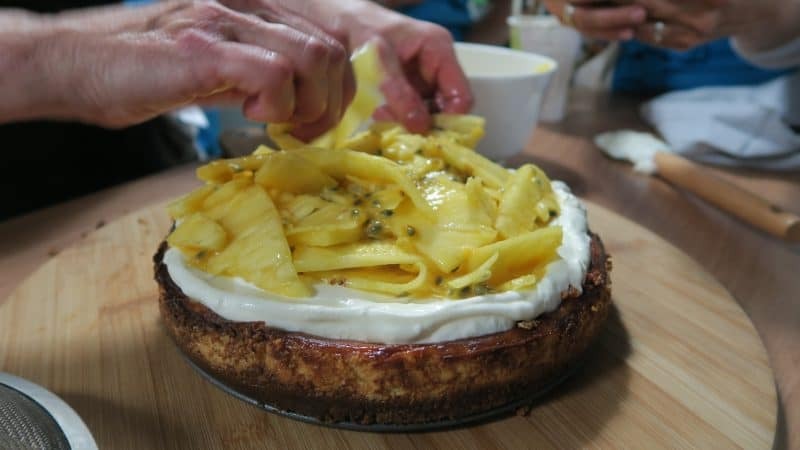 Lesley also showed us a gluten and lactose free cheesecake she had whipped up, which was topped with the lactose free Greek style yoghurt and fresh pineapple and passionfruit. Both desserts were insanely good! After preparing dessert, we then went on to the main course while the tiramisu chilled. 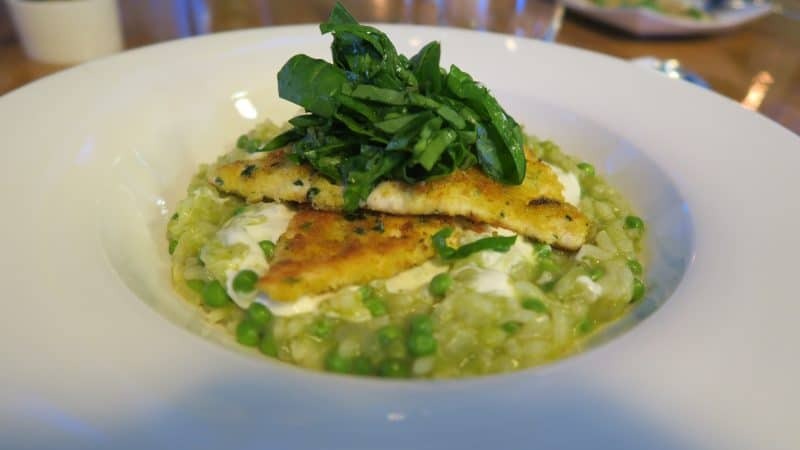 This was a creamy pea and thyme risotto, made with the lactose free crème fraîche, topped with gremolata chicken coated in a herby gluten free crumb. 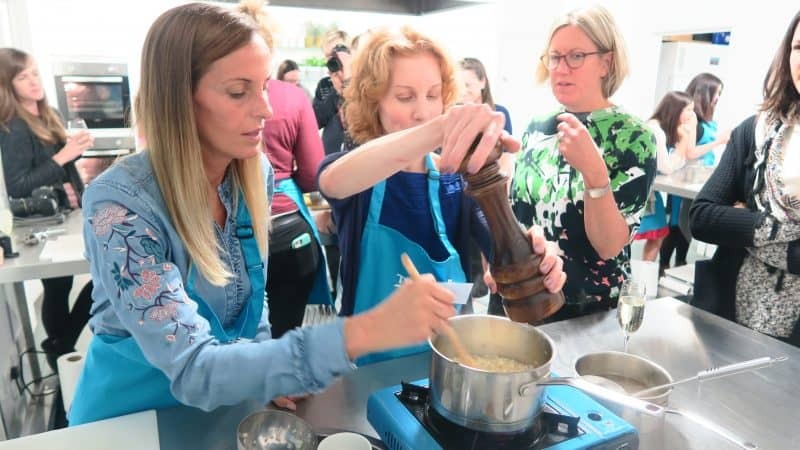 Luckily for us, the hard chopping and measuring was done for us – but one thing I did pick up is how important it is, when making risotto, to only add the stock ladle-by-ladle as it absorbs, and to stir continuously. My arm ached a bit by the time we were ready to serve! It was absolutely delicious though and so creamy – a luxury people with a lactose intolerance must have missed. 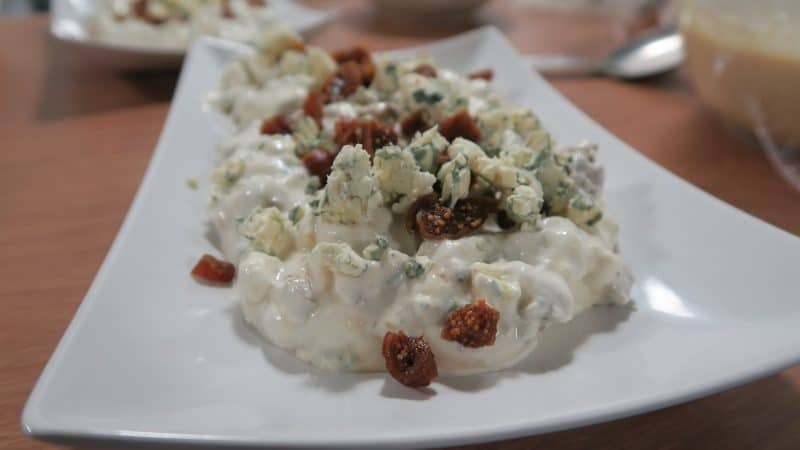 As well as the meals we had conjured up, we also had an array of lactose free dips, including a beany dukkah dip and a fig and blue cheese dip. I still can’t get my head around the fact these were all gluten and lactose free, it all just seemed so normal! 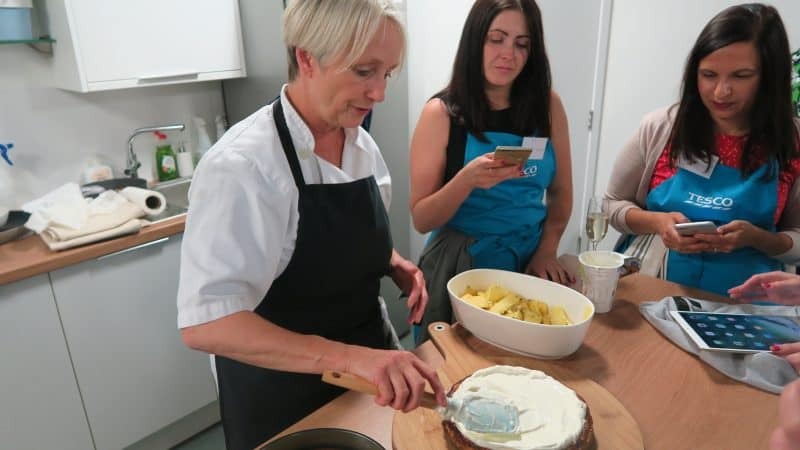 I had a really great evening and it was so much fun to cook under Lesley’s guidance and also get some top tips from dietician Christine Bailey, who is also coeliac. I can’t wait to get cooking with some more of the Tesco Lactose Free range and see what I can come up with myself! Have you tried any of the Tesco Lactose Free Range? Let me know what you think! Comment below or on my Facebook Twitter and Instagram pages! My expenses to attend this event were kindly paid for by Tesco, but all opinions are my own.